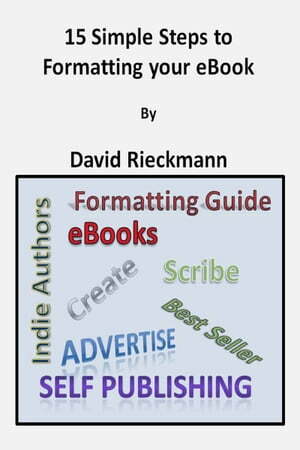 Collins Booksellers - 15 Simple Steps to Formatting Your eBook by David Rieckmann, 9781301621903. Buy this book online. 15 Simple Steps to Formatting your eBook is meant to provide a basic guide for self-publishers prior to uploading to major eBook retailers. The simple guide provides easy step by step instructions for formatting text only eBooks. I do not include cover art, illustrations, or pictures in this guide. If you are looking for a one stop guide that is quick and easy to use then this guide is for you.